Diastema is the medical term for a gap or space between the teeth. These gaps could be found anywhere within the mouth, but they are commonly found within the two front teeth. This condition affects both adults and children, but with children, the gaps are more likely to simply close up as soon as permanent teeth set in. According to a study by the American Dental Association (ADA), between 1.6 to 25.3 percent of American adult’s struggle with a sort of gap in the mouth. Not all gaps are bad and deserving of a trip to the dentist. For some people, their gaps are an added bonus to their features, and they cherish it like they do any other aspect of their body. Some gaps could be small and barely noticeable while other gaps are larger and constitute an issue for some people. What is the Cause of Diastema? There is no clear singular cause of diastema. Various studies have identified that the condition is caused by a series of contributing factors. For some people, the condition is triggered as a result of the size of their teeth and the jaw bone. This causes teeth to be spaced too far apart. Other people develop diastema if there is a tissue overgrowth. The overgrowth of the tissue that borders the gum line and upper two front teeth could cause a separation between the teeth causing a gap. Diastema could also be developed because of certain bad habits. Children who sucked their thumb stand the risk of developing a gap because the sucking motion puts pressure on the front teeth which causes them to be pulled forward. For older children and adults, these gaps could be developed as a result of wrong swallowing reflexes. Rather than the tongue being positioned at the roof of the mouth while swallowing, the tongue of diastema patients is usually pushed against the front teeth. Referred to by dentists as a tongue thrust, this is not as harmless a reflex as it may seem. Too much pressure on the front teeth could cause a separation of two or more teeth. Another common way through which diastemas develop is as a result of gum disease which is a type of an infection. This infection affects the gums as they are inflamed alongside the tissue that supports the teeth. If left without the proper medical help, this could lead to tooth loss and gaps between teeth. 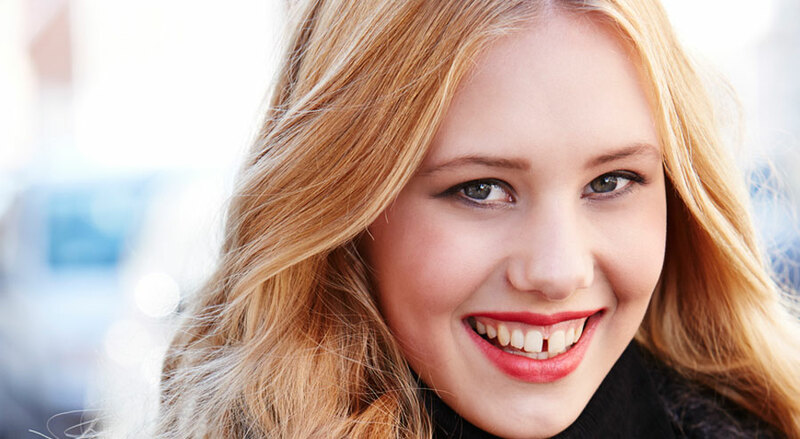 Diastema is a treatable condition. Gaps could be managed to ensure they do not increase in width or it can be systematically filled over a period of time. One of the most preferred and effective solutions for diastema is known as teeth bonding. Teeth bonding is a cosmetic dental treatment that involves the use of tooth-colored composite resin. The dentist simply sculpts the resin to fit the appropriate shape and size needed to fill in the gap located within your teeth. By itself, teeth bonding is not at all complicated,and it is often done with one trip to the dentist. To begin the process, a shade of bonding material that is a perfect match for your teeth would need to be selected by your dentist. What comes next is a sterilization and preparation process done to the surface of the area where the bonding material is to be applied. Subsequently, a conditioning liquid is applied to the surface of the teeth after it has been etched. The conditioning liquid is applied in order to make the bonding adhere easily. Most bonding materials have a putty-like texture. This makes it easy for it to be shaped and molded as needed while it is in the mouth. After the process is complete and your dentist is satisfied with the outcome, a UV light is applied to the area to help quicken the hardening of the bonding. Finally, the surface (with the new bonded material) is polished in order to prevent any form of irritation or friction. While it may seem like bonding is the answer to your gap issues, it is important to know it is not meant to be a substitute for orthodontic treatment. The National Institute for Health (NIH) published a study that stated that not all diastema patients would be successfully treated with bonding alone. Patients with any other underlying health issues apart from the gap are advised to seek out proper orthodontic treatment in addition to bonding. 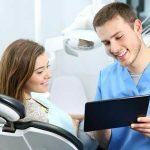 Should your dentist give you the all clear for bonding, there are still several factors to consider before undergoing the procedure. Bonding requires keeping a very high oral hygiene standard, and it could require dropping some habits to make it work. Because of the porous nature of the bonding material, frequent smokers or coffee drinkers stand the risk of staining the composite resin. Although dentists may then choose to fill the gap with porcelain veneers, it is not as widely found as the standard resin. 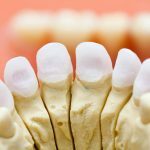 Another factor that needs to be considered is the fact that the composite resin which is used to fill the gap is not as strong as the natural teeth. This is a key fact to bear in mind for people who frequently bite their nails or chew on their pens. A well-maintained resin could last for several years, but patients who fall into this category usually find themselves needing repairs sooner than most people. Diastema is always a reason to see your dentist discuss treatment options. 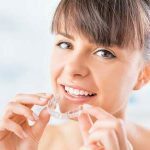 While Teeth bonding for gaps is the most common option, it may not be a suitable treatment for you, and if not, you should be open to orthodontia or a similar, more comprehensive treatment method. 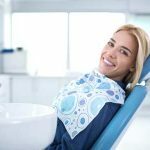 Patients who receive teeth bonding treatment should endeavor to practice good oral hygiene to maintain the new look of their bonded teeth for a long time. It is also paramount that they brush twice a day, floss daily, and receive periodic cleanings from their dentist. Following this treatment, the individual should avoid stain-inducing foods and beverages as far as possible. These include coffee, tea, and red wine and soda.